Water standing in your home is never a good experience. Whether it’s rain water from a leak in your exterior or a burst pipe somewhere in your home Immaculate should be your first call. It can be one of the most stressful problems you encounter as a homeowner. A burst pipe, backed-up drain or freshwater flood occurs, leaving your carpets soaked. How can you keep them from being ruined? From the time of the flood, you have a ticking clock before the damage gets worse. Mold can start growing as quickly as 24- to 48-hours after the flood. And, even clean water can become hazardous the longer it sits. 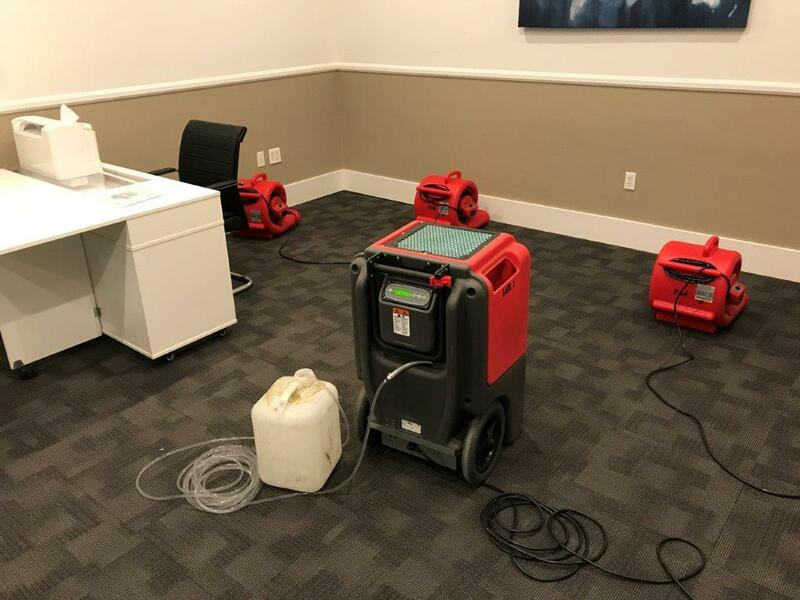 Water can come in contact with dirt in the carpet or soil from the ground outside and become contaminated with dangerous bacteria that can make your family sick. 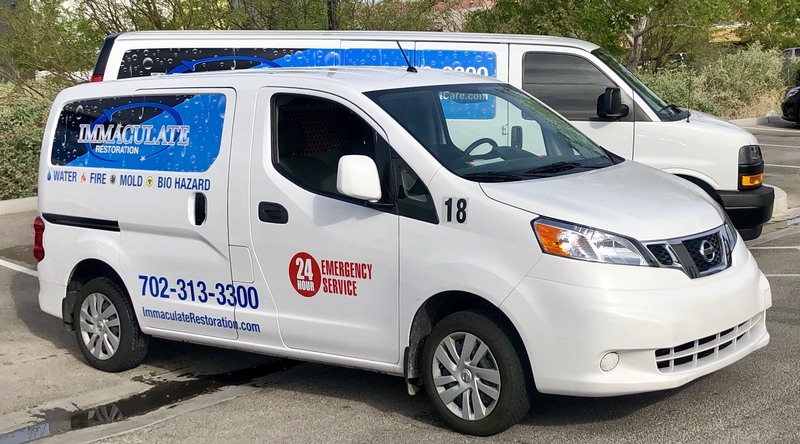 We are well equipped to help you get your home or business back in order and will work directly with most insurance companies. A burst pipe that then creates standing water on your carpeted floor is never an experience anyone wants to encounter. If the floor isn’t properly dried out mold and bacteria will grow and allow harmful toxins to get into the air. 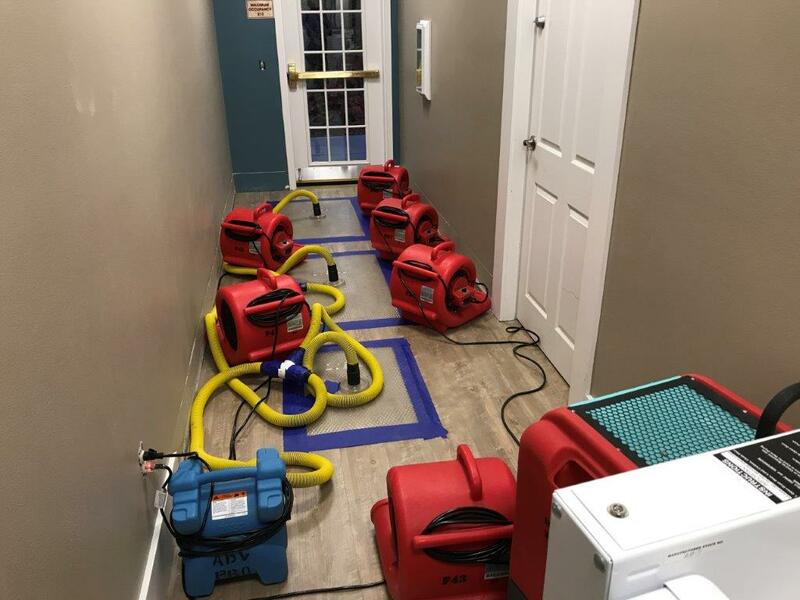 Our carpet and wood floor drying processes will ensure that the entire area is dry and free of any harmful bacteria and mold. During our Carpet Drying Process we will locate the wet areas which may not all be apparent to touch or site. We will then extract the water from the carpet and the pad using our state of the art carpet drying equipment. 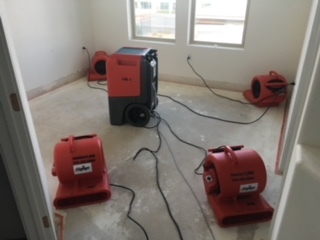 Using high powered fans and other state of the art drying equipment we will ensure all the moisture in your carpet is gone. If necessary we will apply disinfectant which will kill off any spores and organisms that would spawn into mold and bacteria. We will also re-stretch the carpet if necessary to ensure there is no wrinkling or buckling of the carpet. Finally we will thoroughly clean your carpet to ensure it looks as good or better than before the flooding. Water in carpets may not always be apparent to the eye or to the touch. We use moisture-detecting equipment to figure out where your carpets are wet and where treatment is required. If water is just removed from the carpet, the pad may stay wet and cause unseen damage later on. Our process assures that the carpet and the pad beneath the carpet are thoroughly dried to prevent mold and water damage. Mold and bacteria can develop quickly in wet carpets. Our process kills any spores and organisms so that you can enjoy a clean carpet—problem-free. We use high-powered drying fans and other equipment to ensure that all moisture is removed from the carpet, the pad and the structure below. This allows us to ensure that there is no lingering water to cause damage to your home. Flooding and subsequent carpet treatments can cause carpets to buckle or wrinkle. Our skilled providers use knee-kickers and power stretchers to restore your carpet to its smooth, fresh state. Your carpet will be thoroughly cleaned to remove any residual dirt, spores or cleaning products. Our trained experts arrive at your home in uniforms and marked vehicles to perform a free written assessment. 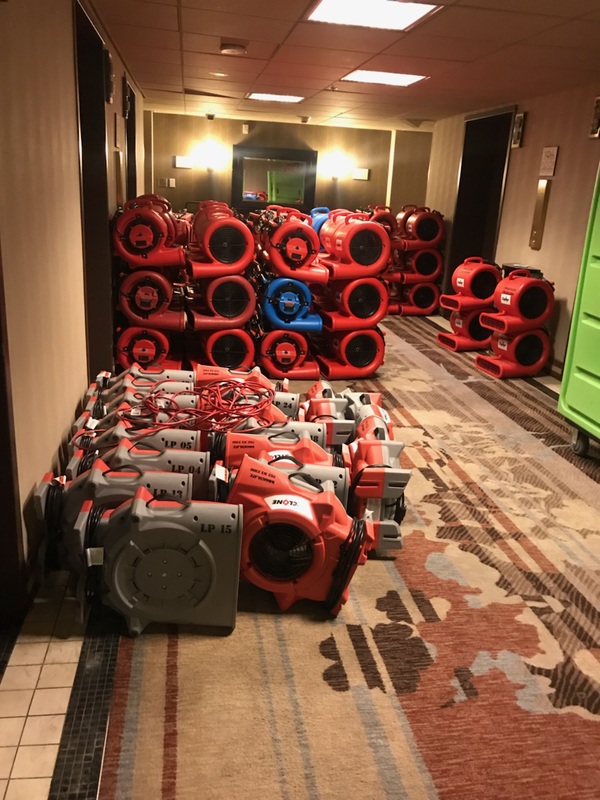 Once we know what needs to be done, we begin our state of the art practice to locate and remove any water from inside your home. It is not always possible to locate water inside your walls by touch or sight alone. We use specialized moisture detection equipment that will let us see where water is hiding inside the walls of your home. We then mark the spots so that our team can get on to removal. Spots are marked with low-tack stickers to avoid further damage to your walls. Materials like gypsum wallboard are usually able to be restored well without permanent damage. Handled promptly, your wall should retain all of its original strength. We then begin to install the wall drying system. We carefully remove the baseboard to give us access to the inside of the wall. Then, we drill channels that can be used to install our wall drying system. By drilling at floor level, we can help prevent more expensive repairs. 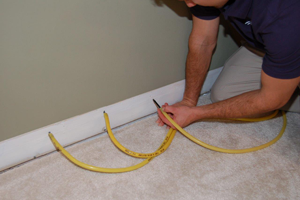 Drill holes can be easily concealed when the baseboard is replaced after drying is complete. 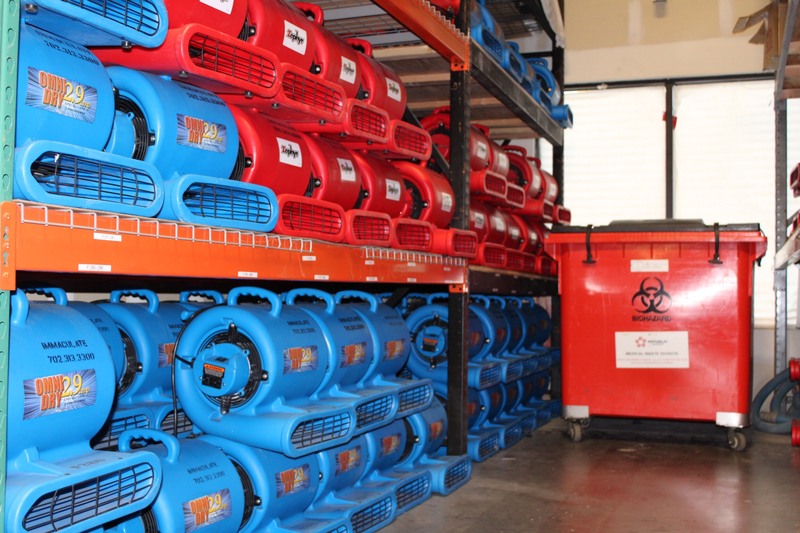 Our dryers increase airflow behind the wall, which can help speed evaporation. The drying process can take anywhere from several hours to a few days. By going into the wall in several places, we can ensure that your walls are dried evenly.